Henri IV was married to Marie de Medecis, however he was known for having a number of mistresses and their children at the Louvre until he died in 1610. Stabbed by an assassin in the streets of Paris, he was rushed back inside the Louvre, where he became the only king to die within its walls. Of the 420,000 items in the possession of the Louvre, only 30,615 are on public display. If you were to spend one minute in front of each work of art, it would take you three weeks with no breaks for eating or sleeping! 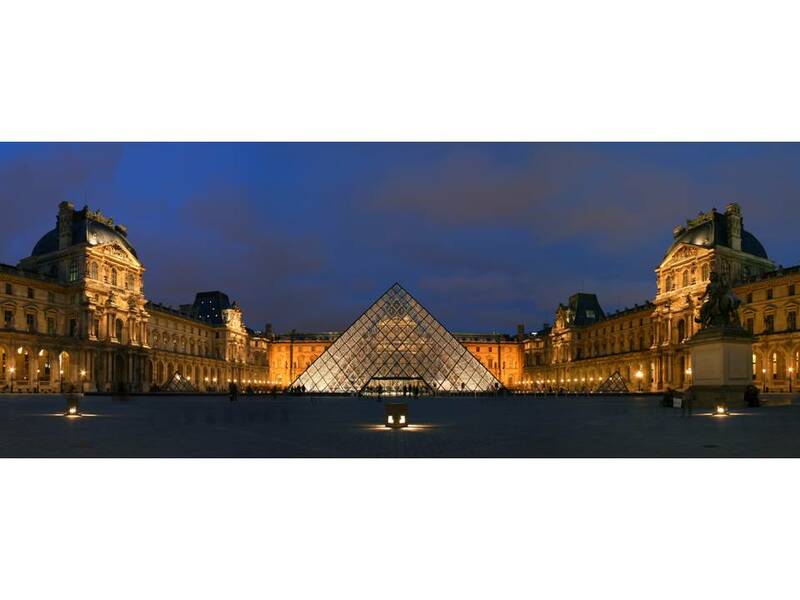 Here are some other interesting facts about the Louvre Museum! The museum took its name from the Latin word "luperia" which means wolf lodge or hunting lodge, when the king Philippe Auguste built a lodge here and fearing a Viking invasion while he was away fighting the Crusades, ordered it to be surrounded by fortified walls. After the Hundred Years' War, this massive fortress became a royal residence. The most controversial addition to the museum is the most recent one, the famous pyramid entrance completed in 1989. The Chinese-American architect, I.M. Pei, designed this modern glass pyramid with some 793 panes of glass that stands about 71 feet high in the main court yard of the Louvre. This is the main entrance to the museum. The Mona Lisa was stolen in 1911 by an Italian who had worked in the Louvre and believed that Napoleon had stolen all of the Italian works in the museum. In fact, the picture had been purchased by King Francis I from Leonardo himself in 1517. The price was 30 pounds of gold! Fortunately for us, the Mona Lisa was found two years later in Florence, and returned to the Louvre.